A clear strategy and specific objectives are key to the effectiveness of any email campaign. While all four broad categories of email campaigns and their individual objectives need a different approach they all contribute to increasing loyalty. The important email sent welcoming new customers is the start of keeping them informed and engaged. Further nurture your customers via loyalty building offers, promotions, points programs, user generated content, invitations or product news. Your welcoming email creates value to your client from the beginning and provides leverage to your business (as it is automated). This/these emails can include key personnel, phone numbers, top tips, forms, special offers and more. Customer loyalty will not be achieved without first providing satisfaction. So how do you increase your businesses customer satisfaction? Ask them! Interact with your customers and allow them to provide feedback. Whether it be good or bad, it is vital to your businesses growth. It provides you with the knowledge and information on what areas your product or service is lacking in, and sometimes it is the simplest thing that can be easily improved. When you ask your customers for feedback, whether it be online through a survey or even more intimately through a personalised call , show them that you are listening. Ditch the automated responses and industry jargon and be responsive, human and conversational. Just this alone is proven to positively influence a customer's perception of your brand and their satisfaction. Use your emails to find out more about your customers preferences, tendencies and behaviours. Email is a valuable channel to either test launching products, reveal trends, gain opinions and reactions or examine elements that account to your customers perception of your business. Add surveys, or request clients to update their details (with additional fields in your DBM) into your emails allows for the instant gathering of data and improvement of your email list. it additionally provides a way for your customers to connect and interact with you, enhancing their sense of involvement and in turn their loyalty. We all know that online word-of-mouth is the most effective kind of marketing, and it is also the most uncontrollable. In fact, Nielsen reports that 81% of online consumers purchase decisions are influenced by their friends social media posts. These emails can drive satisfied customers to either share on social media, write a review, share a testimonial or create user generated content. 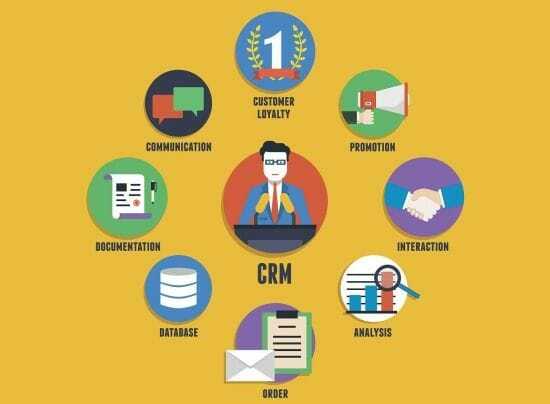 Find out more about enhancing your businesses customer relationship management from your local Bloomtools Consultant. Bloomtools Database Marketing solution, includes the ability for you to send scheduled or trigger emails, surveys, SMS and event invitations.